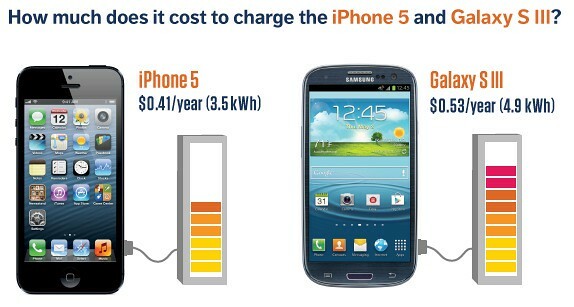 Opower has calculated how much electricity it takes to charge the iPhone 5 and Samsung Galaxy S III. The iPhone 5 was found take cost about $0.41/year to charge where as the Samsung Galaxy S III cost a bit more at $0.53/year. Using a Watts Up Pro Electricity Consumption Meter, we measured how much electricity it took to charge each phone from 0% to 100% full. 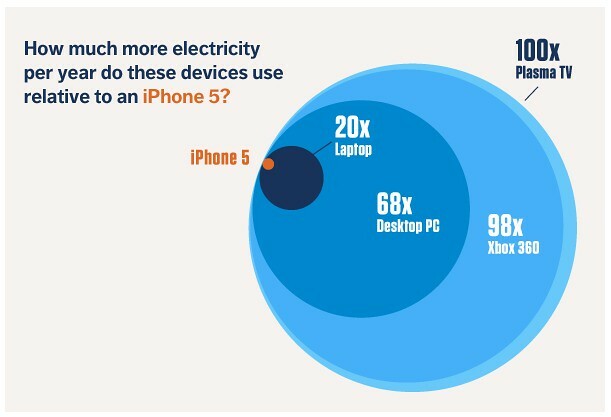 Taking those results and modeling them across a year (see Methodology), we found that on an individual basis, the latest smartphones use a trivial amount of electricity. 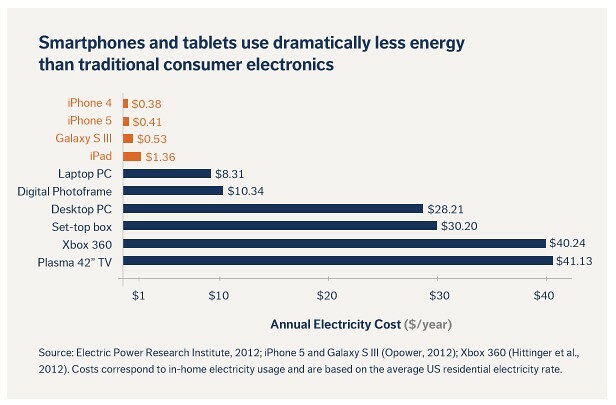 Yes, the Galaxy costs 12 cents more to charge than the iPhone 5, primarily because of the Galaxy's larger battery. The paramount point here though is not the difference between the two phones, but rather their striking similarity: the energy consumption of a modern smartphone is minuscule.